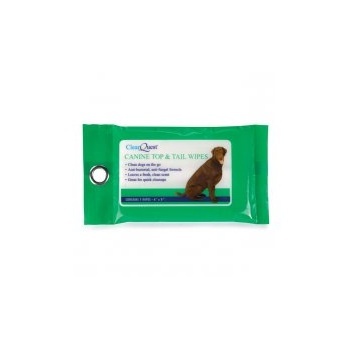 This 100 pack of ClearQuest Canine Top & Tail Wipes are the easy way for you to clean your pets on the go. 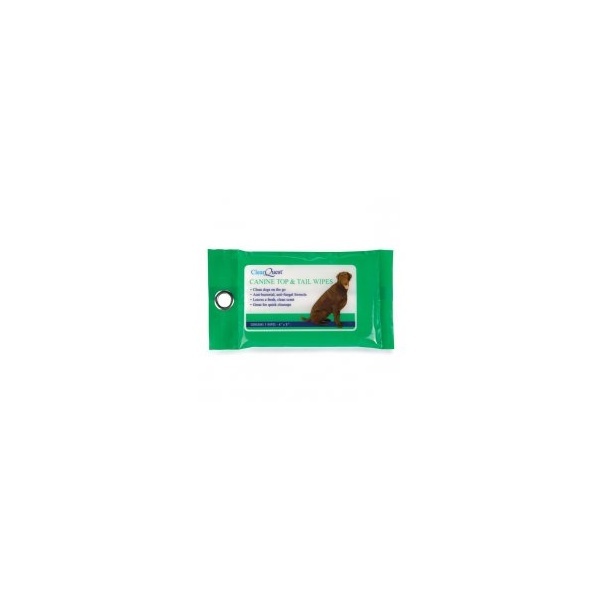 Canine Top & Tail Wipes are perfect for quick cleanups and area touch-ups. Anti-bacterial and anti-fungal formula leaves a fresh and clean scent. Soft 100-count pack with hard plastic, flip-top dispenser lid which keeps wipes moist.